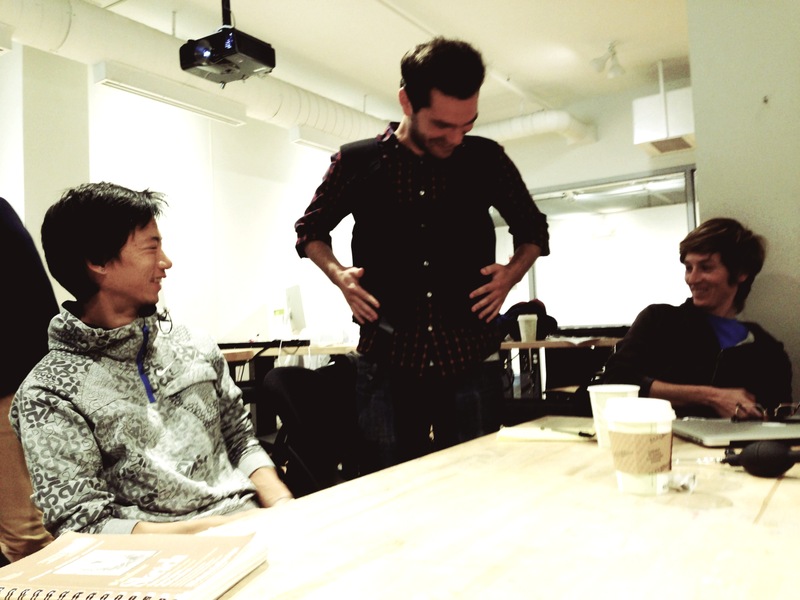 the vayu vest (investigating normal, week 2) | Abler. 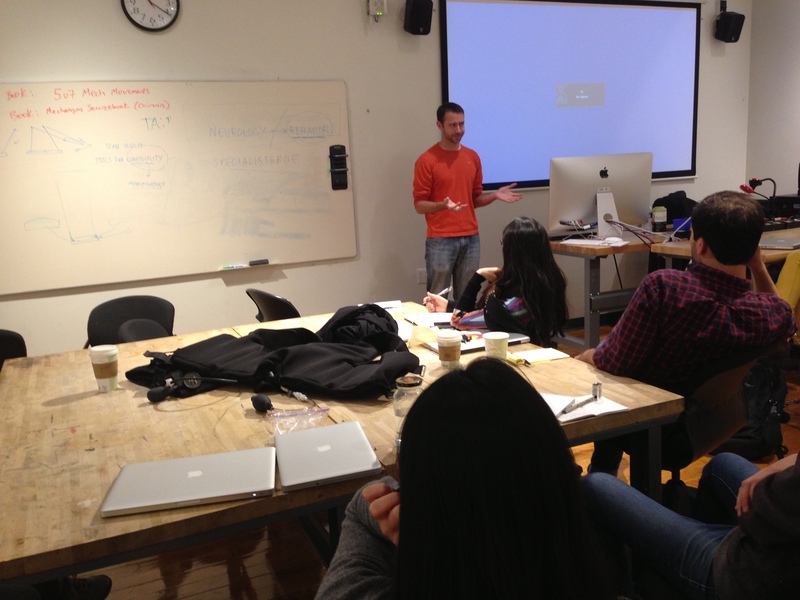 In Week 2 of Investigating Normal, Brian Mullen, creator of the Vayu Vest, came to speak to students about his wearable deep pressure prosthetic. 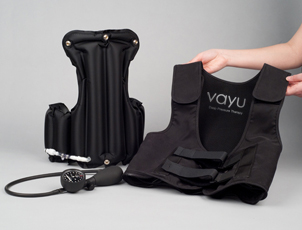 The vest is designed to treat sensory processing disorder, a set of challenges in filtering sensory stimuli. I’ve written about SPD before; a person can be hyper-sensitive to sounds or sights or touch, such that distant traffic noises may be perceived as clanging and shrill. Or a person can be hypo-sensitive, not registering pain, for instance, and risking injury as a result. Deep pressure—in the form of weighted blankets, for example—is widely used to calm and regulate atypical sensory systems. 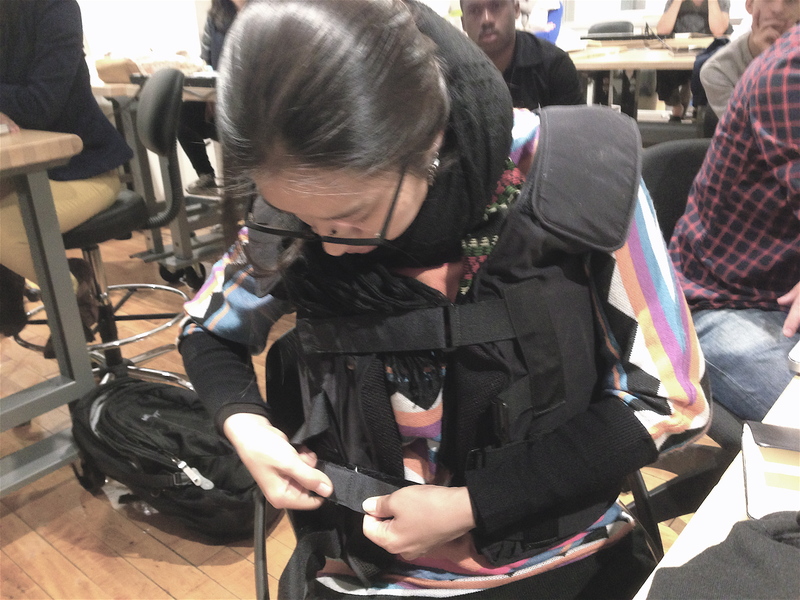 Over years of talking to therapists, teachers, parents, and others, Mullen and his team have so far arrived at this model above, designed for children: a vest that’s discreet, fits under or over clothes, simple to use, and customizable. 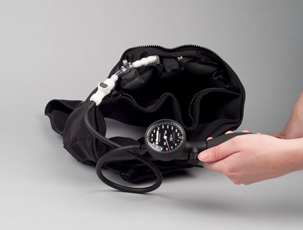 The user controls the amount of pressure the vest administers with a pump attachment, seen above. Mullen is a trained engineer and an entrepreneur; his group won a Mass Challenge grant to develop this prototype. What’s so interesting about SPD is how little is known about it—either its origin or its treatment. It’s commonly associated with autism spectrum conditions, but not exclusively so. It’s widely accepted and treated in schools and clinical settings, but it doesn’t have a formalized diagnostic procedure. Mullen is hoping to get as much data as he can to test all these assumptions—including his own—about the efficacy of pressure technologies for treating the anxiety that comes with sensory dysregulation, to see if its calming effects can be productively measured in behavior and concentration. 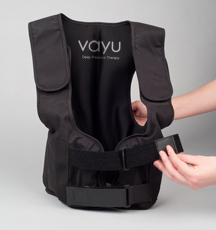 See more about the Vayu vest here. Coming in week 3: a visit to the Perkins School for the Blind.